You can look at our detailed individual fund pages to learn more, but here we combined all the results into two charts and several tables. 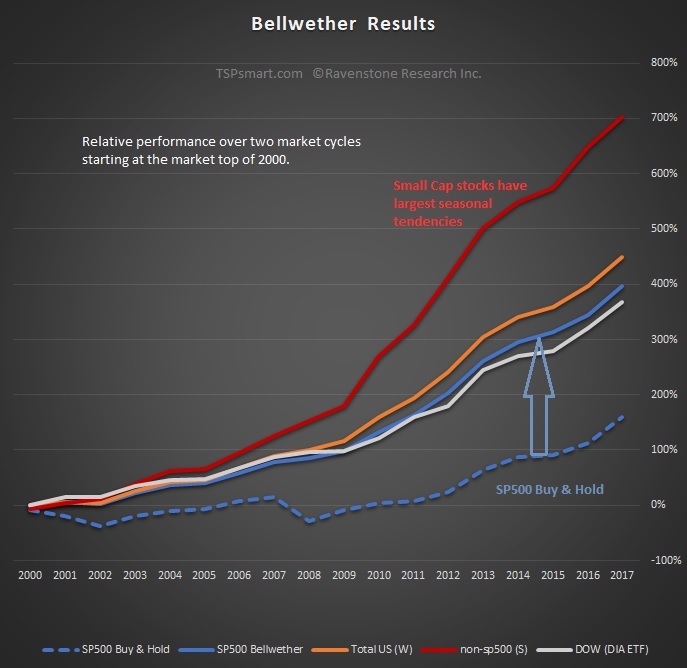 The results are based on the Bellwether timing signal meaning all the funds move into equity funds on the same day each Fall and out on the same day each Spring. Our Bellwether timing signal uses the Total US Stock Market to determine the favorable time of the year to be in stocks. But first let's look at the reverse by looking at what we miss if you were only invested during the unfavorable half the year. For those without TSP accounts, the TSP G fund is similar to a Prime Money Market fund. It averages about 1% over prime money market rates which equates to half a percent annually ni our seasonal strategy. The chart above helps us understand how the Bellwether achieves the results seen below. By shifting to the TSP G fund (green line, similar to T-Bill interest rates) during the summer/fall, you avoid the losses of the equity funds which range from -30% to -44%. You then add the gains of the lowly interest bearing G fund which came to 33%. 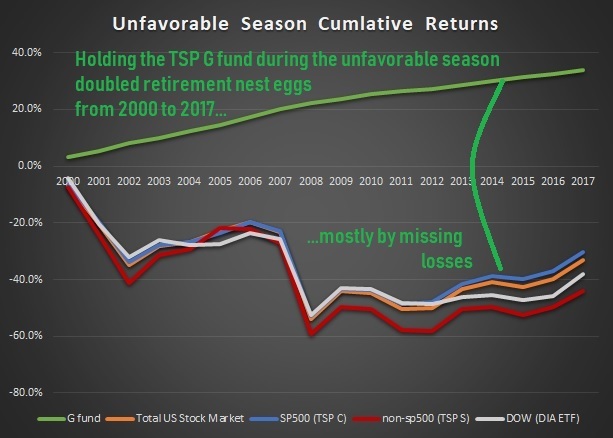 What is not evident in the chart above, is that 44% small cap loss accumulated during the unfavorable season requires a 79% gain to break even or 135% gain to match the TSP G fund's summer only performance. That means your first 79% of favorable season gains go to simply breaking even after your summer losses. Please note that our strategy only requires two allocation changes per year in order to avoid the unfavorable half of the year for stocks. 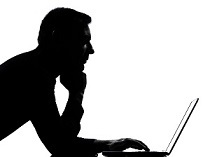 It is an advanced Sell-in-May strategy built off the work of Sy Harding and optimized for any SP500 index funds and small cap funds (TSP C and S fund). To learn more about the timing signal, please review Bellwether's Timing Signal. 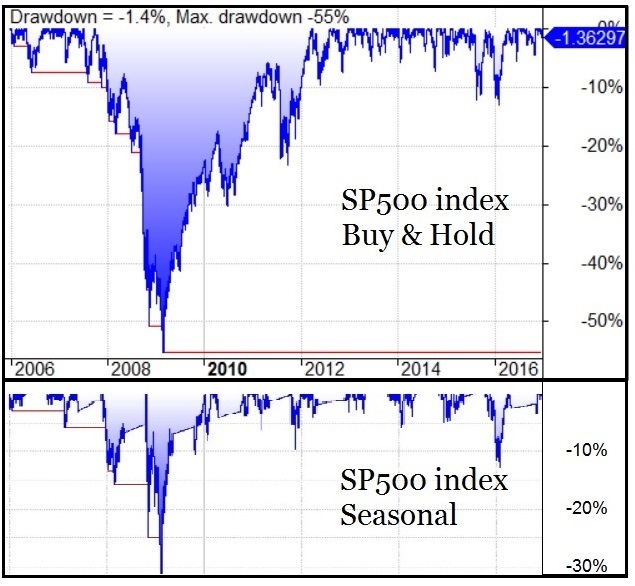 The chart above only shows the draw downs of the market following a buy and hold strategy and a seasonal strategy. 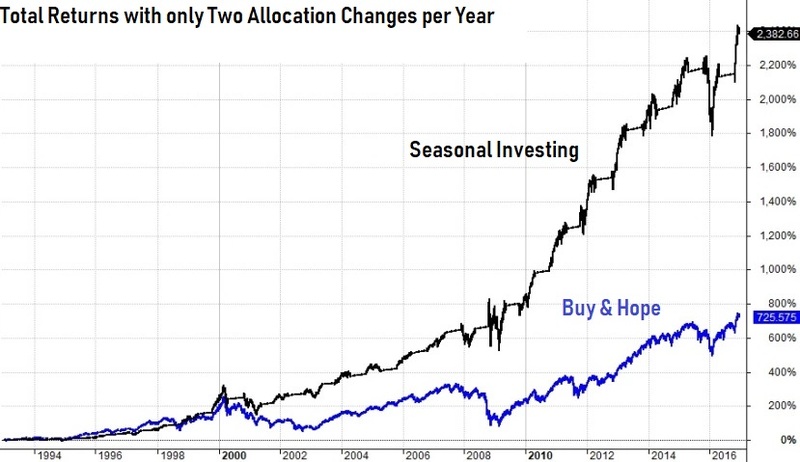 From this perspective, we can see seasonal investing reduces investor stress levels along with providing higher long term returns. There have been two bear markets like the one seen above since 2000. We are due for another bear market. Are you ready? What you see below shows what happens to your long term returns when you avoid taking the large losses that historically hit the market during the summer and fall. The chart below have the individual year returns and the cumulative returns since 2000 using this simple-to-execute strategy. 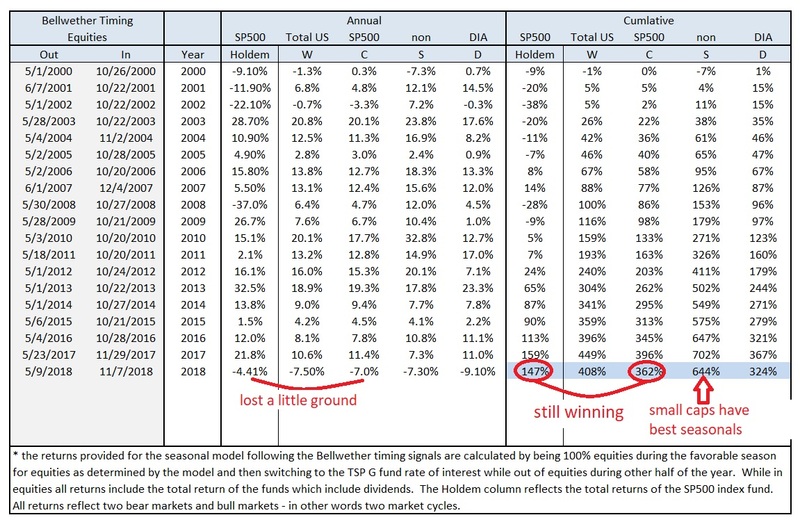 The bottom-line is that following our Bellwether timing signal increased the SP500 index funds return from 147% to 362% total return since the beginning of 2000. The small cap funds do better thanks to their larger seasonal volatility.